A penetrating dressing specially formulated for the prevention and treatment of hard, dry and brittle hooves. When should I use Pottie’s Hoof Dressing? 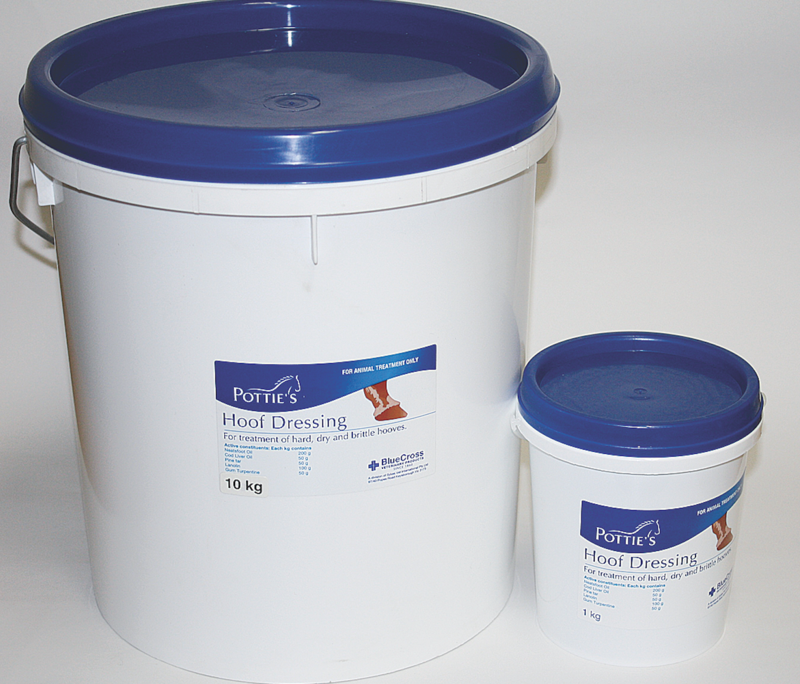 Pottie’s Hoof Dressing should be used every second day under normal conditions, or every day during dry weather or if the hooves are particularly dry or brittle. How do I use Pottie’s Hoof Dressing? Pottie’s Hoof Dressing should be applied to the hoof with a brush, covering the whole hoof, mainly concentrating on the coronet band (where the hoof growth occurs) and the frog. Why does my horse need hoof dressing? Poor hoof care can result in dry, cracked, brittle hooves, which can lead to much more serious hoof conditions such as foot soreness and lameness. Applying a hoof dressing such as Pottie’s Hoof Dressing aids in the prevention of the dryness and cracking. It improves the hooves elasticity and growth, is a preventative measure and is essential to any horse owner contributing to the health of their horses’ hooves.